Small spheroidal aggregates of cubo-octahedral Fluorite lilac crystals. There are multiple translucent and bright light green to white Fluorapatite crystals. There is also a pefect 2cm Ferberite crystal standing on top with fluorite on a face. The upper levels of Panasqueira offered during 2014 some novelties, with samples that are very different from what has been known before from this mine. Minas da Panasqueira, level 0, Aldeia de São Francisco de Assis, Covilhã, Castelo Branco, Cova da Beira, Centro Portugal (2014). Rhodochrosite. Now in Gail and Jim Spann Collection. I did not resisted to make myself another photo (full size) of this great specimen to bring more justice of its beauty. FOV : 3cm X 2cm. Total Size: 13 x 10 x 5.5 cm. Crystals to 6mm. 1168g. Outstanding piece. The colour is beautiful and it is very lustrous and sparkly. This specimen attracted quite a lot of attention at the 2008 St Marie show, and it is the best Gabon Rhodo that has been viewed for more than 30 years now! This one is now a world class and particularly good, not only for the coverage of crystals, but because the colour is so dark, red and rich. Normally they are paler or brown. Photo by Vasco Trancoso. Please see it in higher resolution. Cassiterite over Muscovite from Lagares - Rebentão (we can still see on the base of specimem an old label with locality - see child photo). Vasco Trancoso collection and photo. Size (overall): 6,5 X 3 X 4,3cm with supershinning twin crystals up to 1,5cm. Rare with this luster. 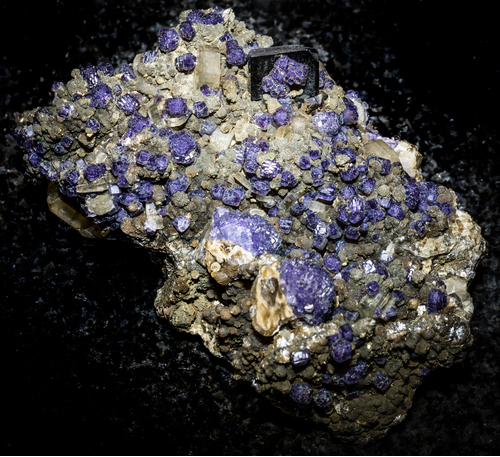 This specimen was collected at the time of professor Alfredo Bensaúde (1856 —1941) that was a great portuguese mineralogist, engineer and university professor, reformer of technological education in Portugal in the early twentieth century. He was the founder and first director of the Instituto Superior Técnico (IST) in Lisbon, that integrates now the Museum of Mineralogy “Alfredo Bensaúde" where we can se other similar samples. 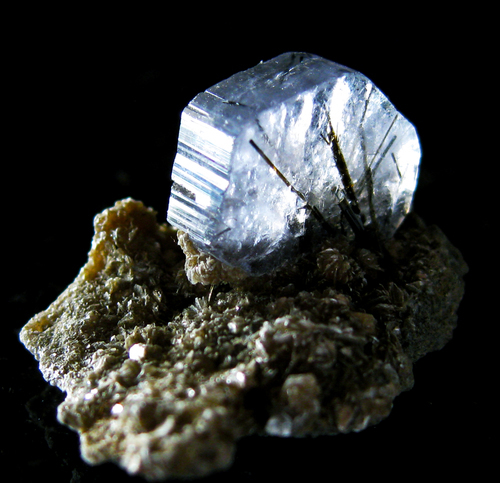 Bluish grey almost transparent fluorapatite crystal (1,2cm long) with tourmaline inclusions on top of siderite matrix. Very aesthetic. Vasco Trancoso collection and photo. 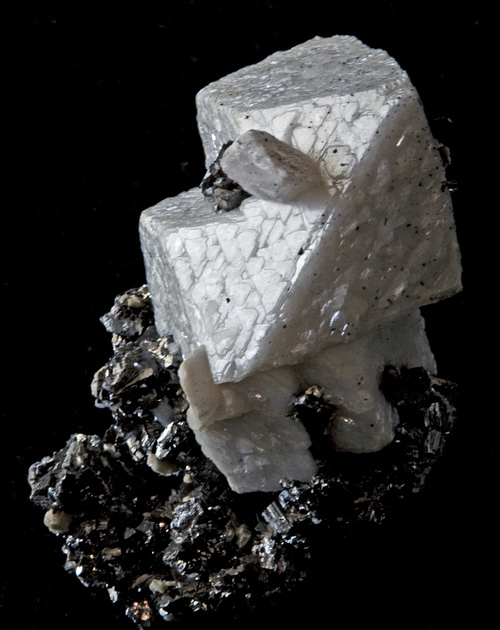 Dolomite over Arsenopyrite, Vasco Trancoso collection and photo. Interesting new (November 2009) Panasqueira find at Level 3. Great Dolomite crystals contrasting with Arsenopyrite matrix. Great aesthetics. Outstanding for locality. Rhodochrosite. Vasco Trancoso collection and photo. Size: 11.8 x 8.4 x 6.3 cm. 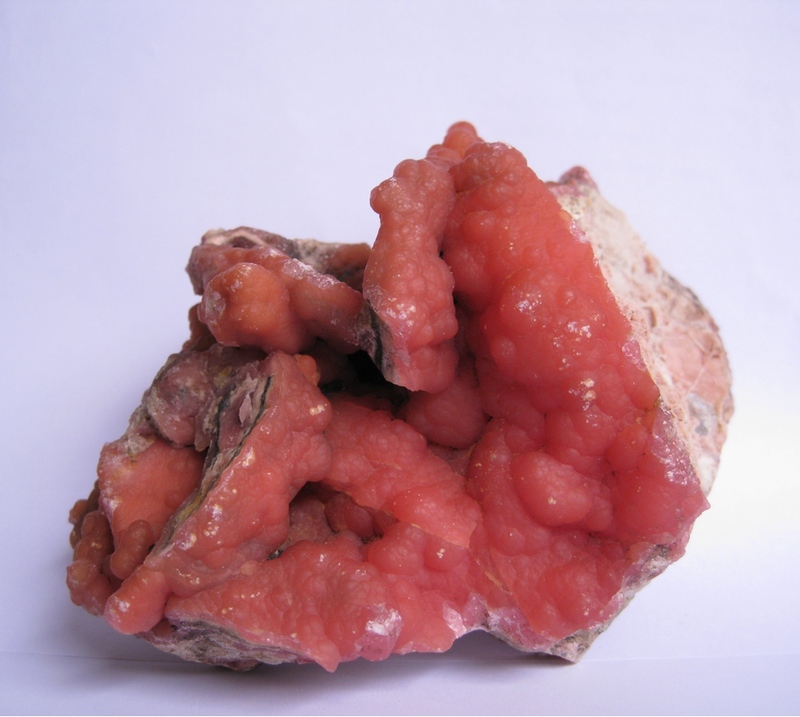 Rhodochrosite from Brazil is very rare, and seldom seen. A small trickle of specimens has come out of this old manganese mine over the years. This is actually a rather large specimen for the locality. 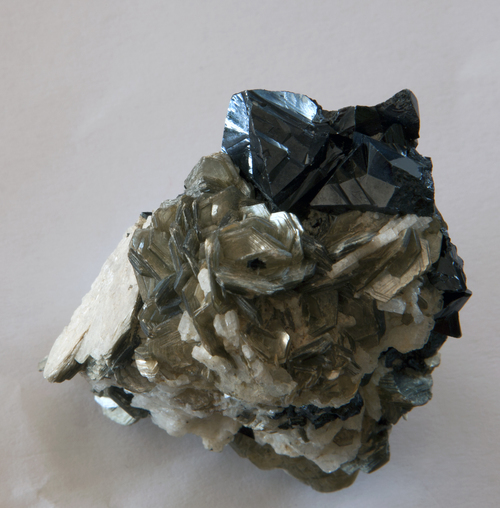 Gibbsite. Vasco Trancoso collection and photo. Size: 12.4 x 6.9 x 2.2 cm. 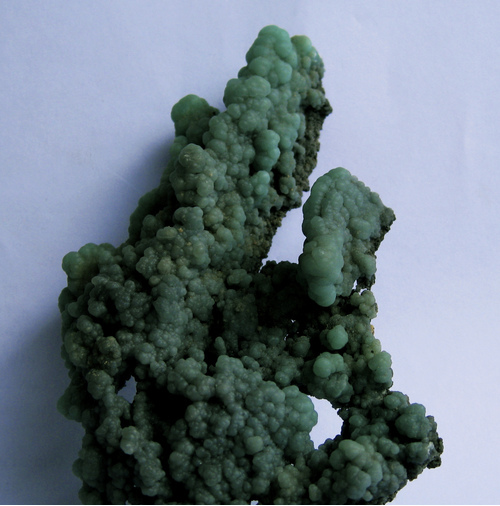 Stalactitic fingers of botryoidal,greenish-gray, gibbsite to 1.0 cm across, point skyward in an aesthetic manner. Unusually dramatic. Specimens were found in the summer of 2009. Previously, material from here came to market in the early days of Chinese mineral exports in the mid 1990s, and again in a trickle in 2006. Rhodochrosite. Vasco Trancoso collection and photo. Size: 0.5 x 0.4 x 0.4 cm. 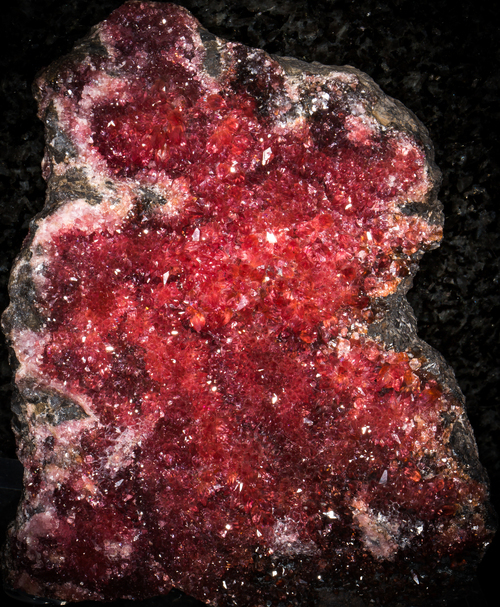 Rhodochrosite is exceedingly rare to be found in such a fine crystal in gem pegmatites, like the famous Bennett Quarry in Maine. 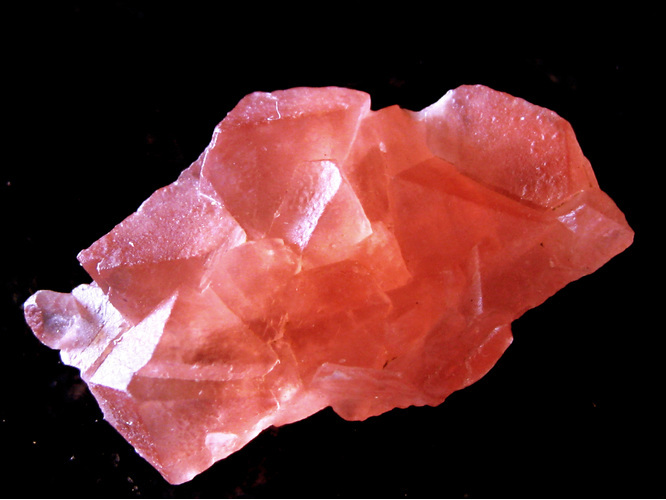 The color of this rhodochrosite crystal is a deep rose pink. It is both gemmy and lustrous and is a sharp scalenohedron. This is truly a rare! I believe it was found in the early 1990s - in any case, it was just a small pocket and even tiny crystals like this were treasured and hoarded by collectors...this is one of the rarest rhodo localities on the planet for the collector of that species, since so few are known to exist. Fluororichterite- Vasco Trancoso collection and photo. 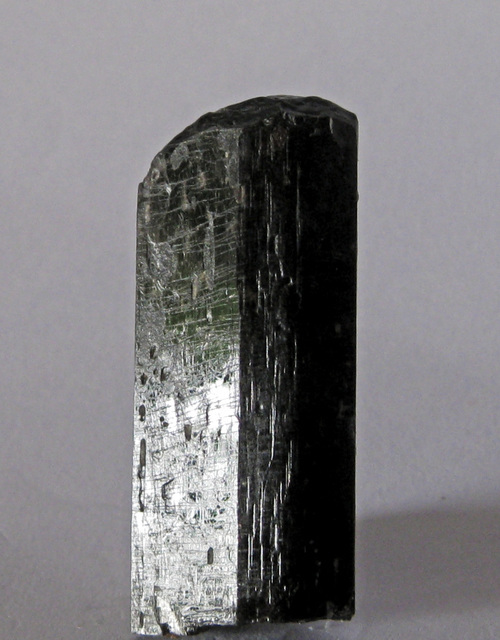 Crystal: 4.4 x 2 x 0.5 cm. Well developed, perfect terminated crystal . Collected in 1981, ex Cassinelli collection, ex Galvani collection. 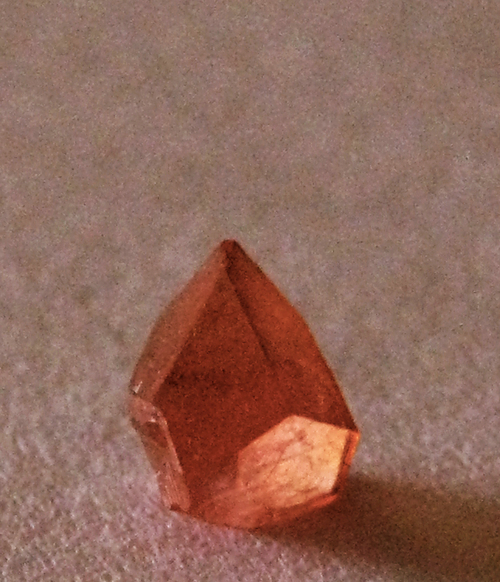 Pink Reddish octahedral Fluorite. Vasco Trancoso collection and photo. Size: 3 X 1,2 X 1,8 cm.